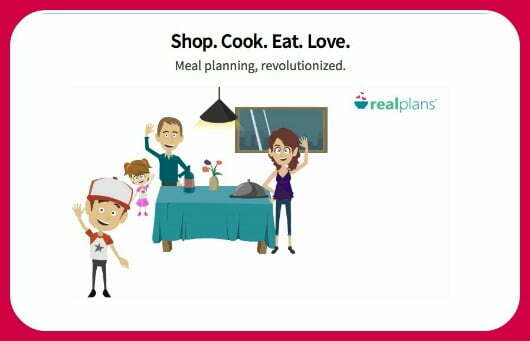 If you get tired of the question from your family and in your own brain, “What's for dinner?”, if you feel like you're in a rut with your meals, or if you're just sick of figuring out what to make that tastes good and is good for you, then you'll love this new option for real foodies: interactive healthy meal plans! What am I going to feed these people? Click here to get these interactive healthy meal plans. These meals will keep coming, every week, all planned, with your grocery list all made out, it's a dream for busy parents or any busy person, parents or not. 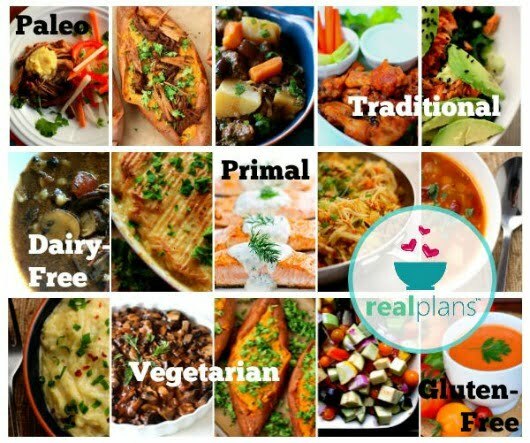 Traditional, gluten-free, dairy-free, paleo & now vegetarian options are all covered. Included are recipes for double batches to remind you to freeze one to have on hand for busy nights or if you want to take a meal to a sick friend. A search box that really works. If you have company coming, you can easily change the serving size for each recipe! Adjustable portions from 1 to 100. This also modifies your shopping list – which is ALL made out for you. If you already have some of the ingredients listed, you can easily remove them. Every single recipe can be modified to add or remove ingredients your family does or doesn't like, and you can also add notes to the recipes, too. If you're new to real food, this is perfect because there are basics here too, like roasted chicken and bone broth. Even with my computer that is getting old and slow, everything came up quickly, I didn't yell at my computer once! There's a helpful short video for how to use all the features effectively and save you loads of time. Even if you don't think you'd use this as a regular meal plan, just for the interactive recipes it's worth it. Anytime you want to try something new, the shopping list is all done for you! A simple yet comprehensive online experience (not just PDFs in your inbox). It's like having one great big interactive cookbook at my fingertips and it's for ANY type of diet. Click here to get the interactive healthy meal plans! 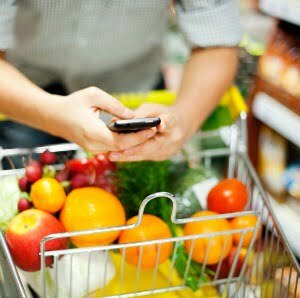 It comes with an APP — it has smart phone capability to make shopping a breeze. I don’t know about you, but sending my hubby to the store with a shopping list can often result in some surprising purchases that end up in my kitchen. 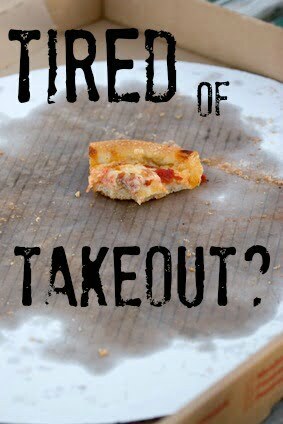 Amanda Bailey Erwin I’m thinking about this!